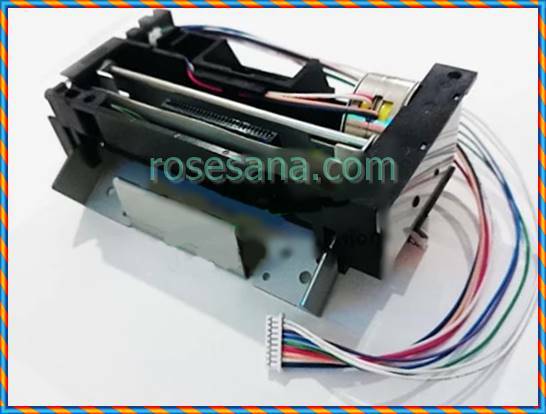 LTPF347F-C576-E is a thermal printer device from Seiko. This thermal printer uses thermal line dot printing method with 8 dots / mm resolution and printing speed 220 mm / s. This thermal printer is compatible with 80 x 72 mm paper. 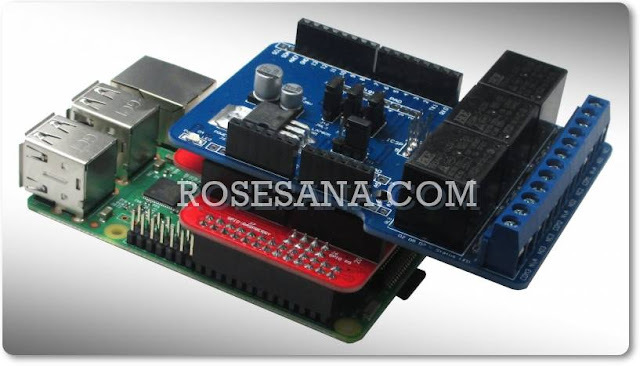 For the sensory part, this device uses 3 types of sensors. 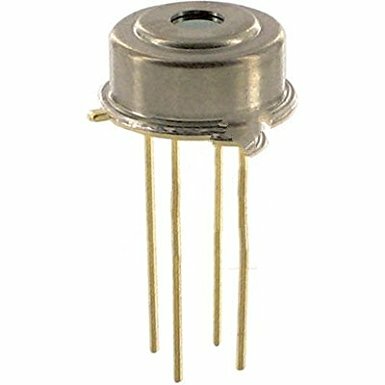 Thermistors as sensors monitor head temperature, mechanical switch to monitor plate position, and photo-interupter as sensor for out-of-paper. 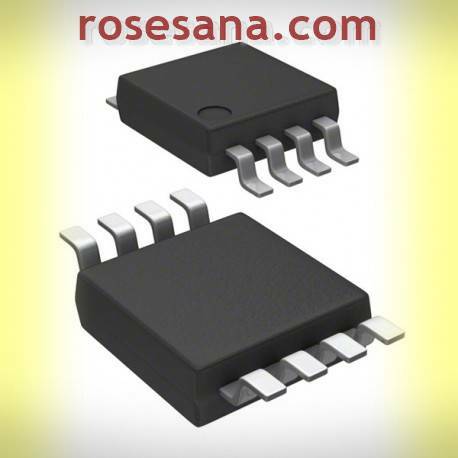 LD1117AV33 is a Low Drop Voltage voltage regulator that provides a maximum current output of 1 A. LD1117AV33 has a fixed voltage output type of 3.3 VDC. 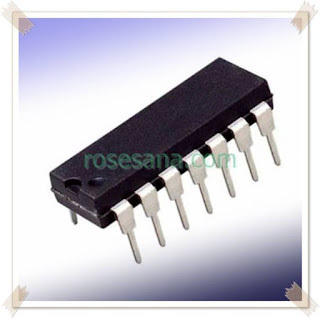 LD1117AV33 packaged in 3-pin TO-220AB packaging. TEA2025B is a stereo audio amplifier IC (class AB) with 4.7 watts of power. 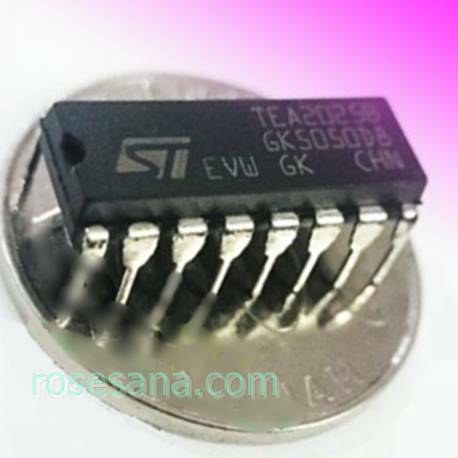 TEA2025B is suitable as a dual mode amplifier or bridge on a radio or portable music player. 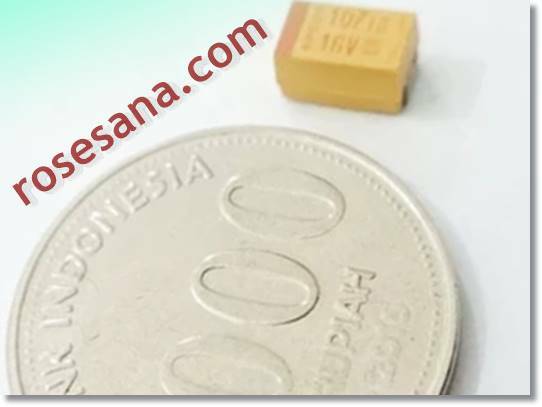 2.4 GHz RF transceiver IC that can be directly connected to the microcontroller via the SPI interface. 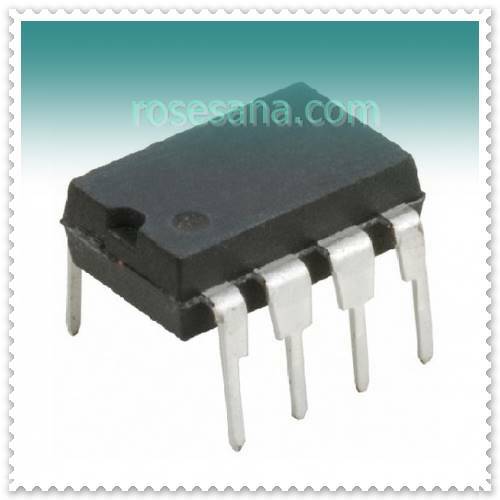 AT25020A-10PI-2.7 is 8-bit serial EEPROM memory with 2 Kb capacity. This memory works at working voltage between 2.7 V ~ 5.5 V with clockspeed of 20 MHz. 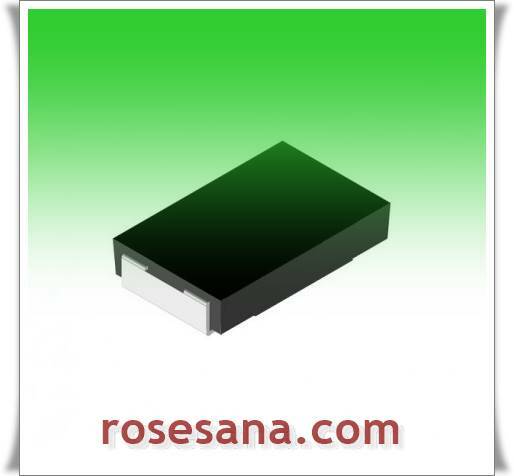 SMD tantalum capacitor with 100 μF capacitance value, maximum working voltage of 16 V, and tolerance of 20%. 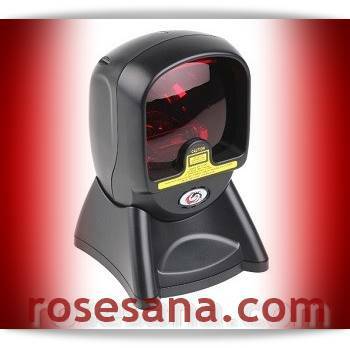 An omnidirectional barcode scanner that comes with two interface options, namely USB and RS-232. This device uses a 650 mm diode type laser sensor capable of scanning barcodes up to 1500 scans per second. 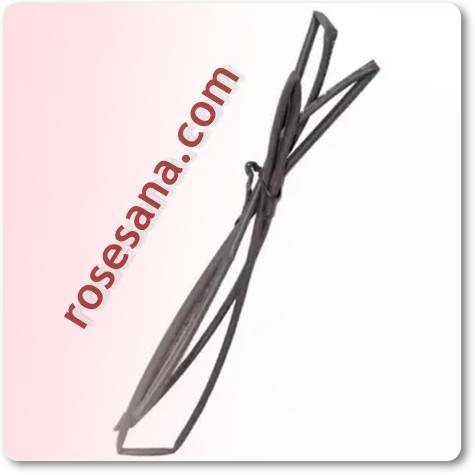 It is suitable for use on POS, cashier, inventory management, and so on. 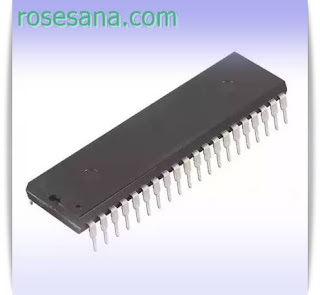 - Decoding capabilities: EAN-8, EAN-13, UPC-A, UPC-E, Code 39, Code 93, Code 128, EAN128, Codaber, Industoal 2 of 5, Interleave 2 of 5, Matrix 2 of 5, MSI, China postal code, etc ..
7 single digit segments with 1 inch panel width. 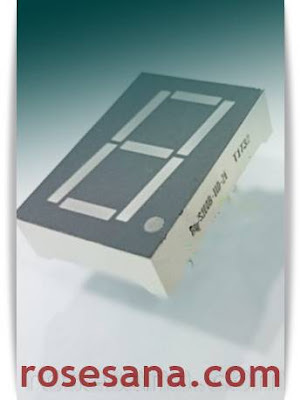 This seven segment panel has a common anode configuration and can emit bright red light. 7 single digit segments with 0.5 inch panel width. 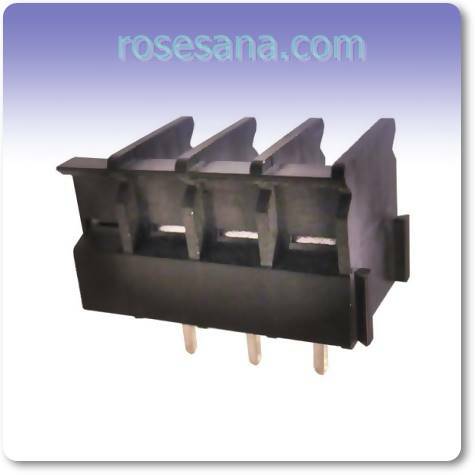 This seven segment panel has a common anode configuration, can emit red light, and has 4 pieces of legs or pins. 7 single digit segments with 0.5 inch panel width. 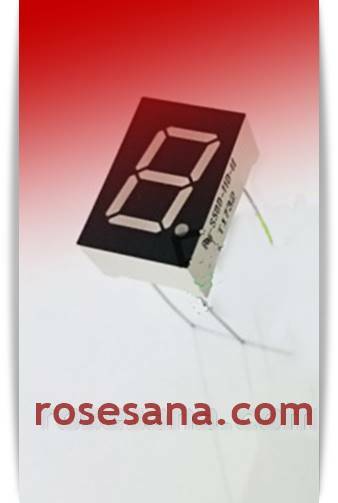 This seven segment panel has a common anode configuration and can emit bright red light. 7 single digit segments with 0.5 inch panel width. This seven segment panel has a common cathoda configuration and can emit bright red light. 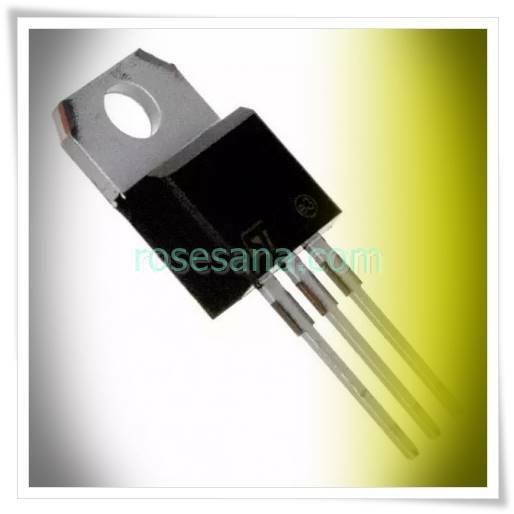 resistors with 0.2 ohms resistance, 1% tolerance, and 2 watts of power packed in SMD 4527 packaging. 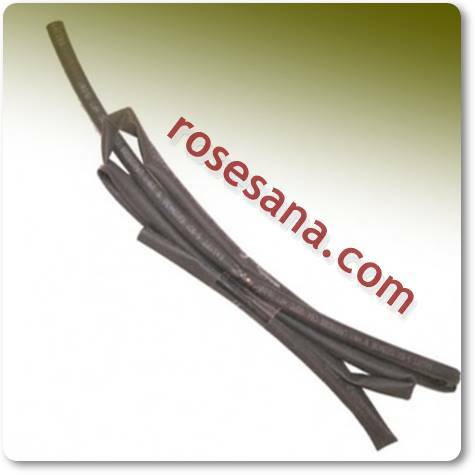 Suitable for current measurement applications. Cooling fan with dimensions 6 x 6 cm. 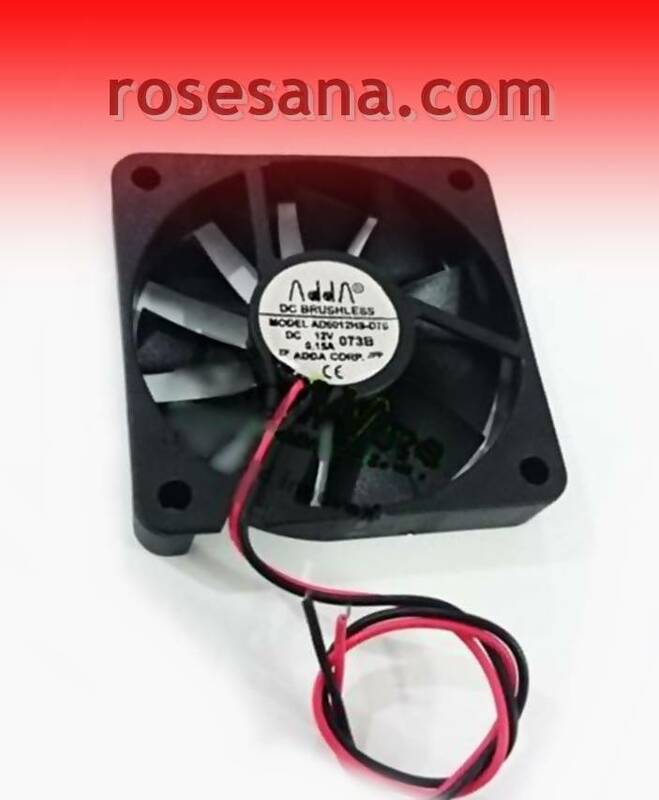 This fan works on 12 VDC voltage with current consumption 150 mA and power 1.8 watt. Suitable applied as cooling fan for PSU, production machine, etc. 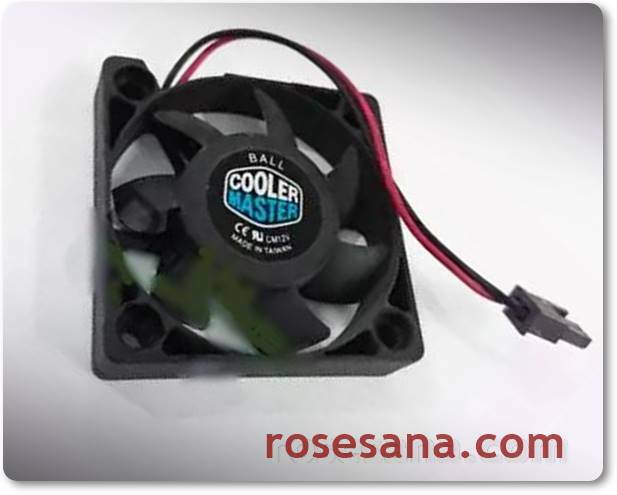 Fan / cooling fan for PC motherboard with dimensions 5 x 5 cm. 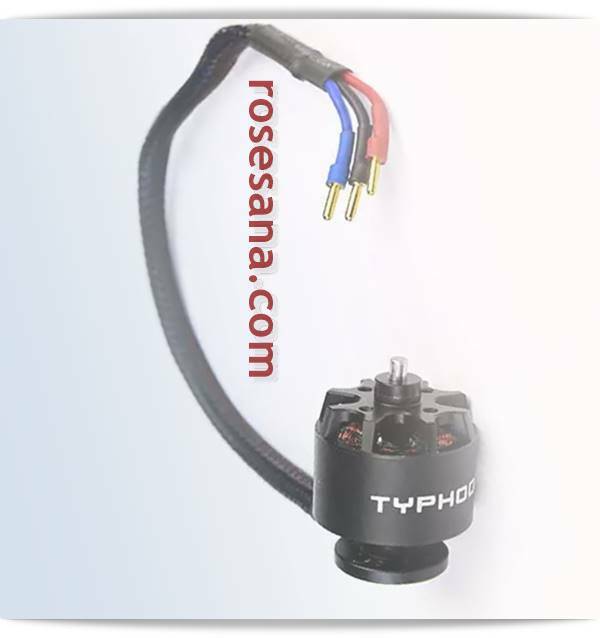 This fan works on voltage 12 VDC, current 150 mA, and power 1.8 W.
Typhoon H is a Yuneec Americas brushless DC motor with 750 KV power. Suitable for drone, RC, speedboat, and so forth. 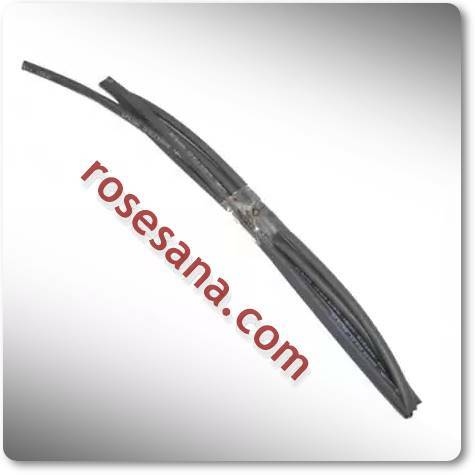 RF antennas are compatible for 2.4 GHz frequency with 110 mm length and 3.0 dBi gain / gain. 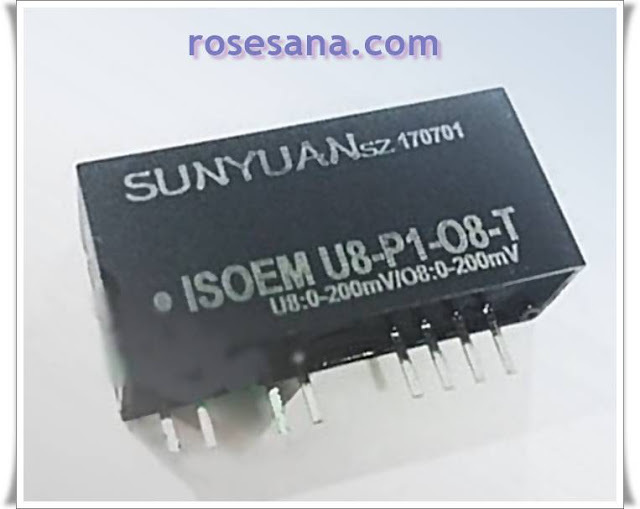 Power supply module with 5V / 2A output. 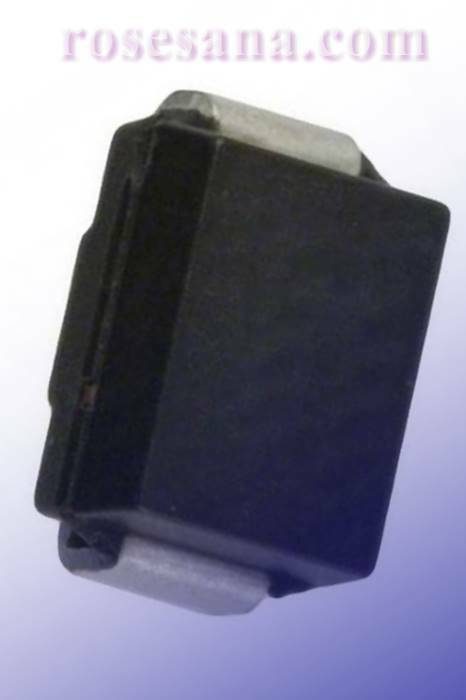 This module supports voltage inputs between 85 - 264 VAC or 120 - 370 VDC. 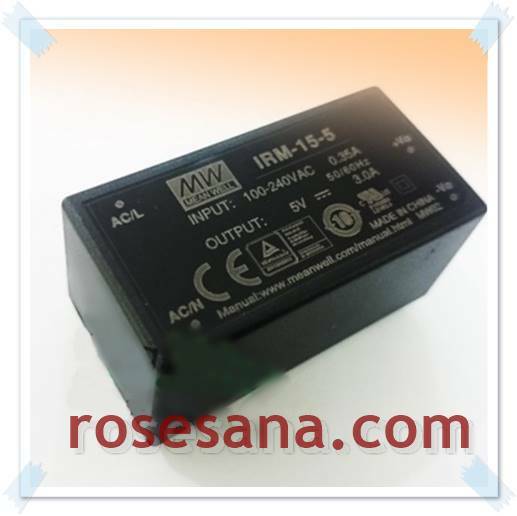 - Input Voltage: 85 - 264 VAC or 120 - 370 VDC. 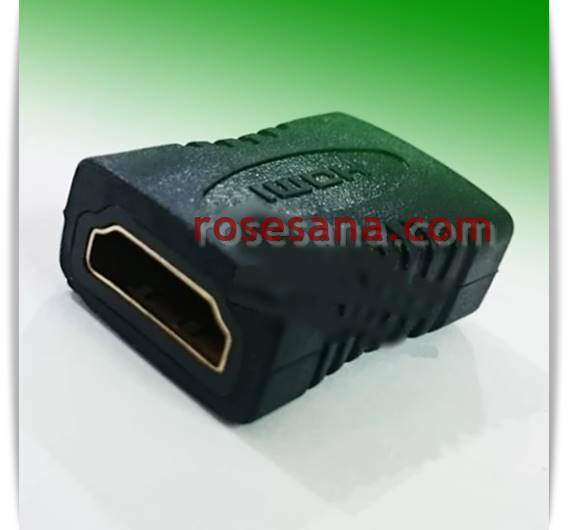 HDMI LCD plug-and-play with 3.5 inch width. 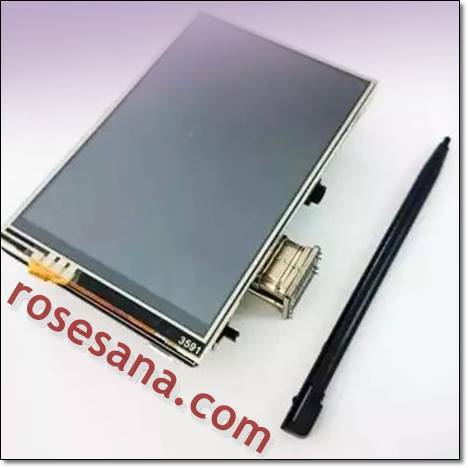 This LCD is specially designed for Raspberry Pi. 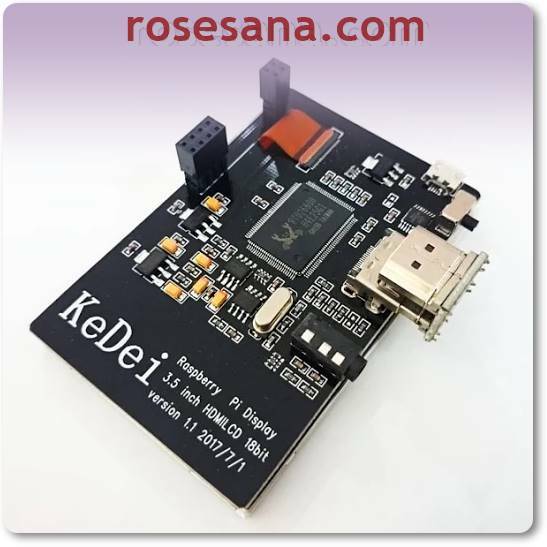 To pair LCD to Raspberry Pi is very easy, you just need to plug the LCD and HDMI sockets to the top Raspberry Pi header then in a flash LCD is ready for you to use. The LCD has a resolution of 480 x 320, supports touchscreen features, and supports graphical input via an HDMI port. 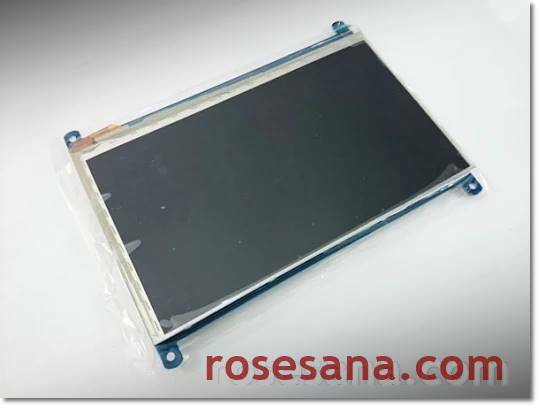 LCD graphics with the type of screen IPS (In-Plane-Switching) 1024 x 600 resolution. This LCD has a graphical output through the HDMI port and has supported capacitive touchscreen panel type. 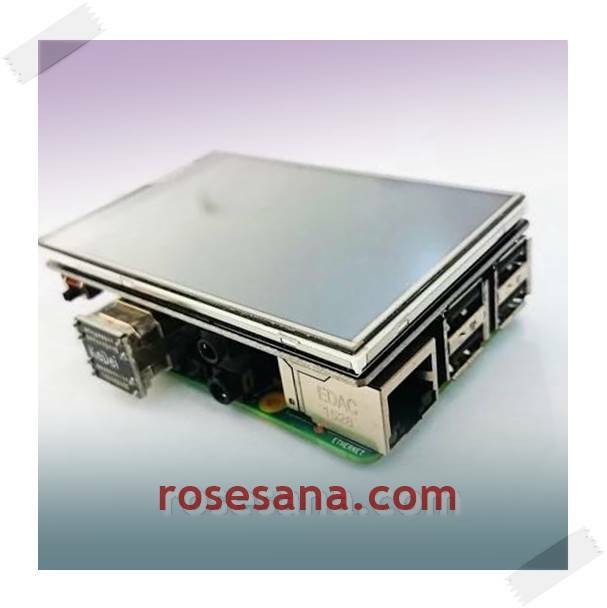 This LCD is compatible with Raspberry Pi, Banana Pi, BeagleBone Black, desktop PC, and so forth. HDMI port converter (female) to HDMI (female) with small size and minimalist design making it practical and easy to carry anywhere. 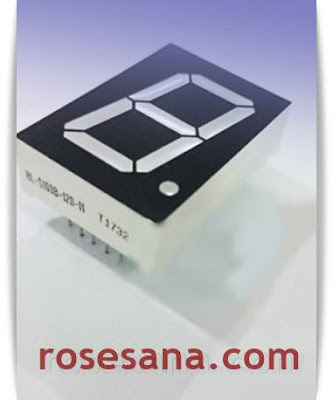 TPS334 is a thermopile detector sensor packaged in TO-5 packaging and equipped with 30 KOhm thermistor for temperature reference. 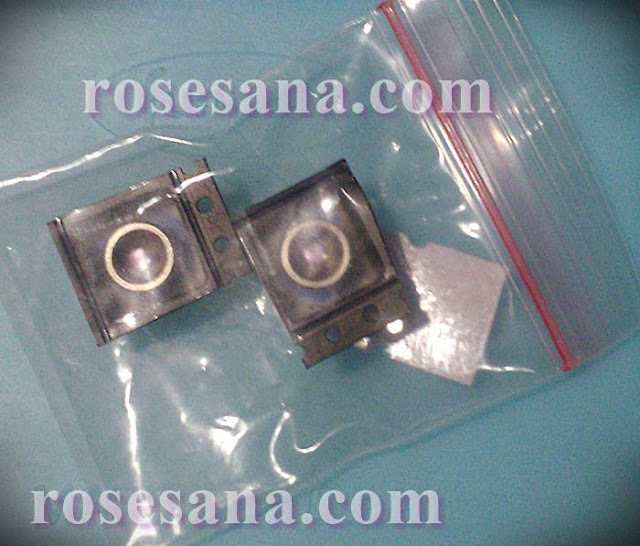 TPS334 also features 5.5 μm longpass infrared filter. 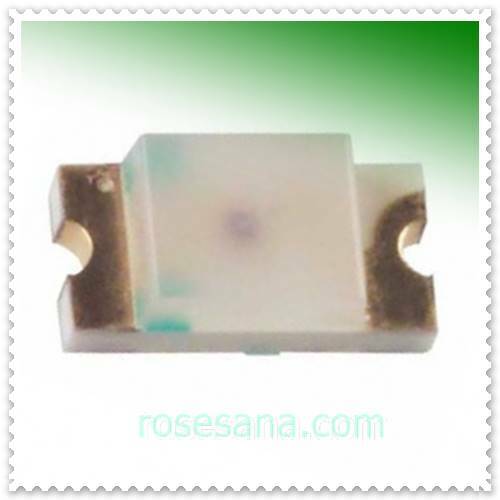 This sensor has the characteristic of flat (flat) sensitivity on wave effect. EZ100PR is a smart card reader plug-and-play with a simple design. 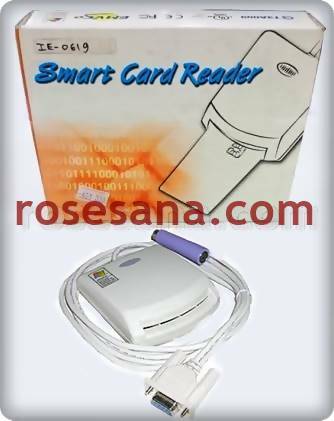 This device supports the reading of ISO7816 protocol smart cards and has been compatible with computer operating system Windows 95/98 / ME / 2000 / NT4.0 / XP / CE / WIN7 / Linux. 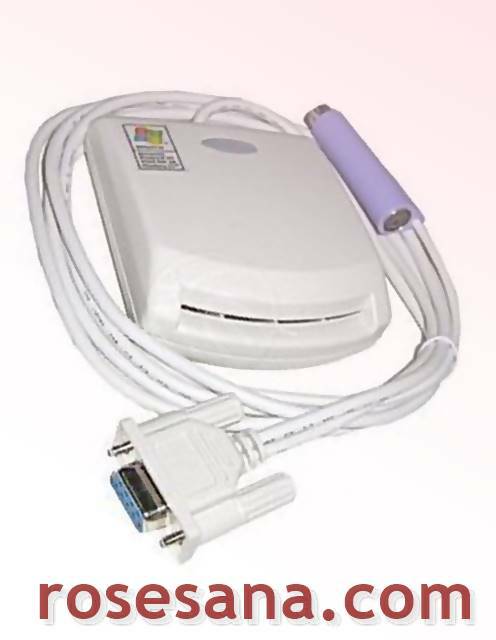 To communicate to the computer, has provided RS-232 and PS2 ports that you can connect directly to the computer. 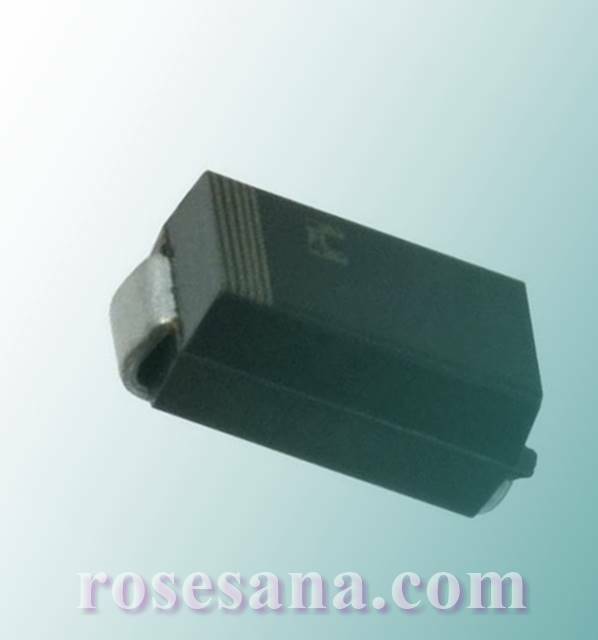 It is suitable for application on the cashier, parking system, access control, data logging attendance, and so forth. 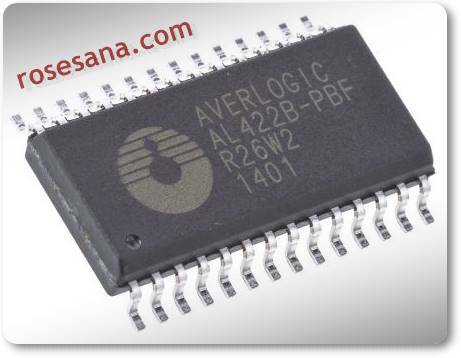 AL422B-PBF is a First-In-First-Output (FIFO) video frame commonly used in audio / video / graphics buffers for digital processing applications, timer correction, and format conversion. 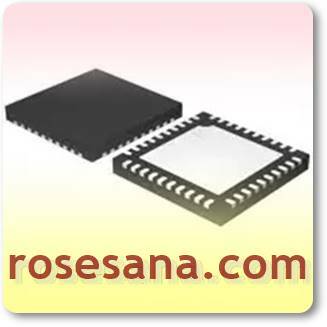 MRF24J40-I / ML is a 2.4 GHz RF transceiver with IEEE 802.15.4 standard network protocol. 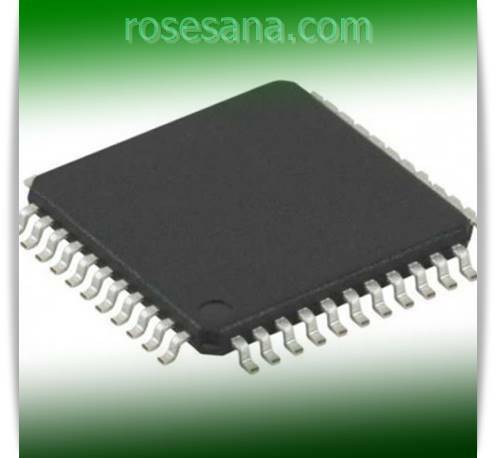 MRF24J40-I / ML presents PHY and MAC function solutions on a single chip. MRF24J40-I / ML can be enabled to build a Wireless Personal Area Network (WPAN) network with data rates of 250 Kbps / 650 Kbps. The usual WPAN network we encounter on the ZigBee, MiWi, and MiWi P2P protocols. To communicate to the microcontroller has provided 4-wire interface and SPI. LTC6800HMS8 is a IC operational amplifier (Op Amp) that works on a voltage of 2.7 ~ 5.5 VDC with a gain bandwidth of 200 KHz. 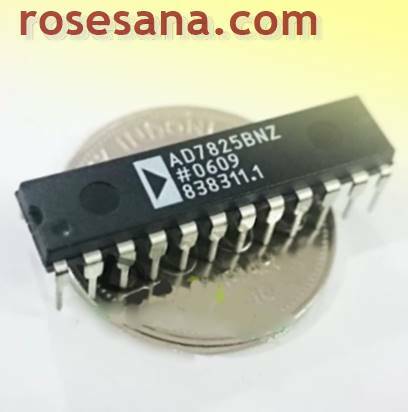 AD7825BNZ is a 24 pin ADC IC with quad-channel input, single 8 bit ADC resolution, and 2 smps sampling rate. 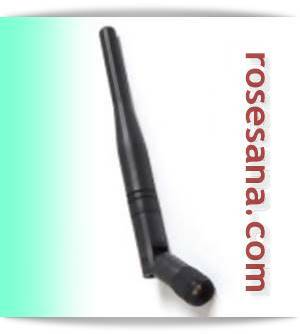 Mini antenna 2.4 GHz with unity gain bandwidth of 1 dBi. 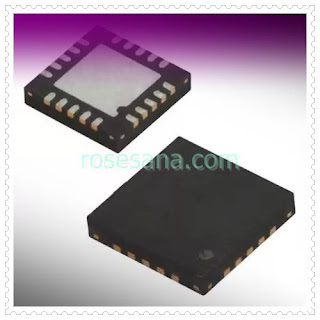 Suitable to be applied to bluetooth dongles, wifi dongles, Zigbee, RF modules, smartphones, and other devices with small PCB sizes. isolated DC-DC converter using magneto-electric method in the process of isolating the voltage. 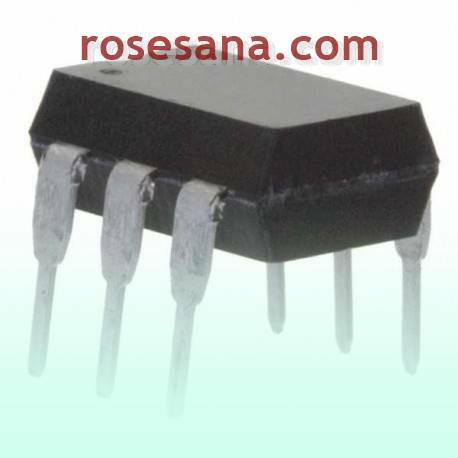 This device works to convert input voltage 0 - 200 mV into output voltage 0 - 200 mV on 24 DC power supply. 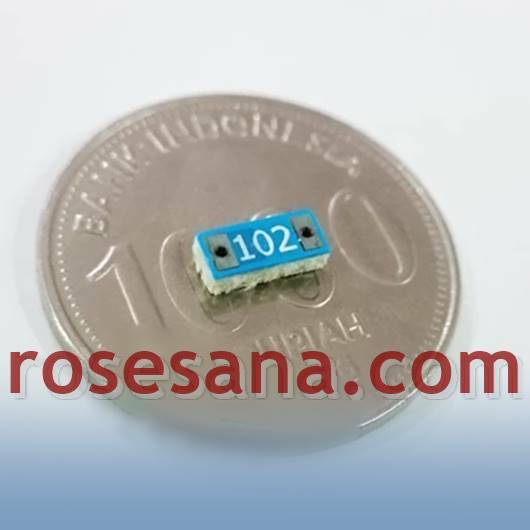 This device also has a pin that serves as zero regulator, gain, and full-scale calibration in the converter. 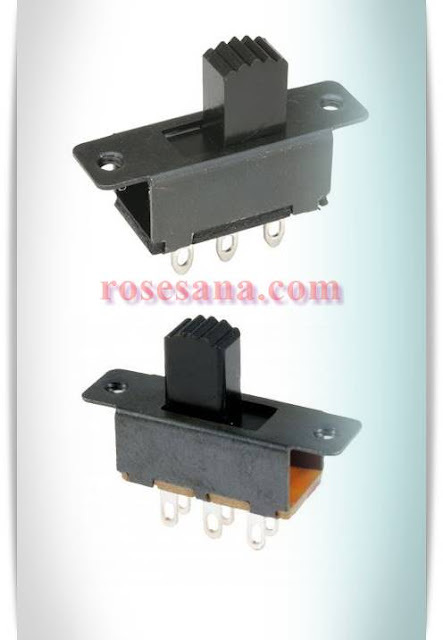 More detailed technical information can be seen in the datasheet below. 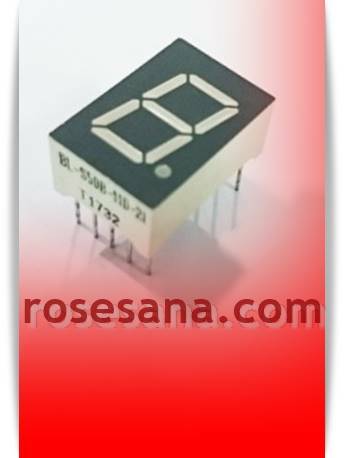 Schottky Diode 1A 40V with packing SMA / DO-214AC. Schottky Diode 2A 40 V with SMB / DO-214AA packaging. MS5540-CM is a SMD-hybrid pressure sensor which is a combination of piezoresistive pressure sensor and an ADC IC. The MS5540-CM provides a built-in 16-bit ADC resolution that will give you great precision over any pressure changes received by the sensor. For communication with microcontroller, MS5540-CM provides 3-wire interface. One interesting thing is that this sensor has been protected by a unique gel layer that is claimed to provide waterproof capability to a depth of 100 meters without the need for additional protection. 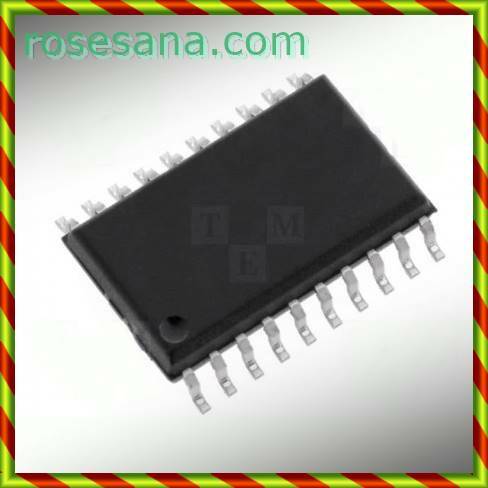 touchpad module (touch switch) capacitive chip-based touch sensor TTP229. 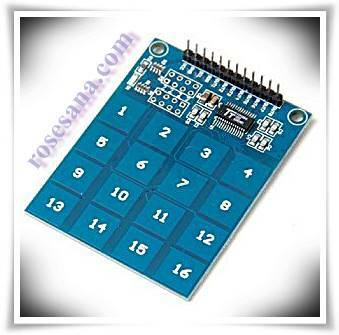 This module supports up to 16 touch input channels, each of which has a high sensitivity to the human touch. 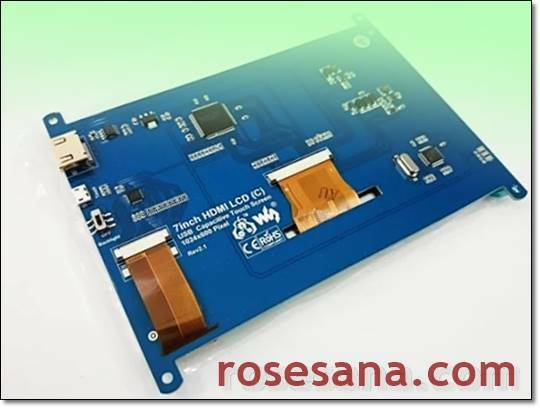 The output of this module is a TTL signal, so you can easily connect this module to the microcontroller (Arduino, MCS-51, AVR, ARM, and so on).